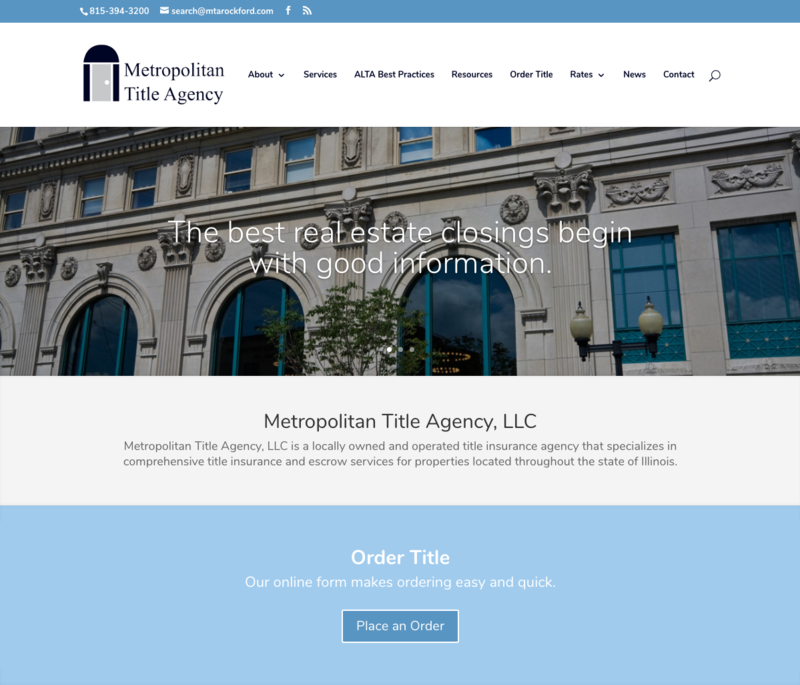 Metropolitan Title Agency is a title insurance company located in Rockford, IL. The knowledgeable staff at MTA helps customers close on the properties they fell in love with. Sparkfactor received a referral from Fidelity National Title Group that Metropolitan Title was interested in redesigning their website. MTA is underwritten by Fidelity National and Sparkfactor is the national preferred website vendor of Fidelity National, so the connection was natural. Metropolitan Title chose to take advantage of Sparkfactor’s exclusive Fidelity National Title Group agent package. The template site was built on WordPress using the DIVI theme and also included a custom form. 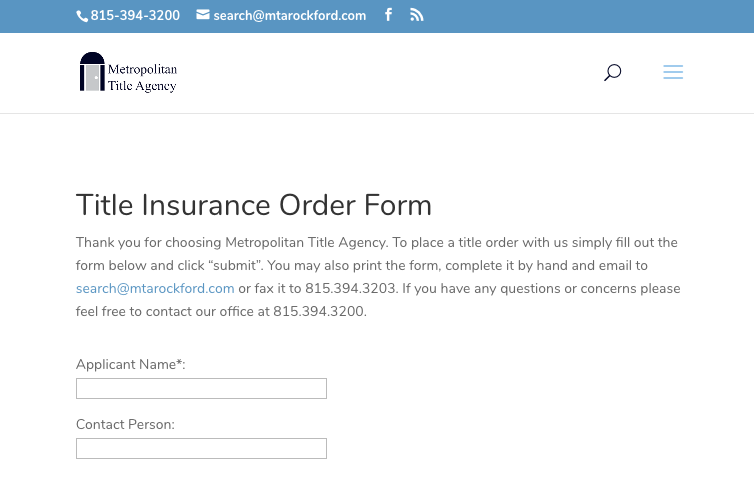 The title order form allows customers to apply for title insurance right online and automatically emails the customer to let them know that the form has been submitted correctly. Like all websites Sparkfactor creates, the Metropolitan Title site is mobile-responsive. This allows MTA’s customers to order title insurance from their desktop or learn more about the company from their mobile device. The consistent web presence instills confidence in MTA’s customers. Building the site on WordPress allows the administrative team at MTA to manage their own content on the site. They can upload new rate cards when needed, add more employee profiles as they grow, and write blogs to educate their website visitors. Would you like to make it easier for your customers to apply for title insurance? Talk to us today to see how Sparkfactor can help you update your website.